$29.99 Value - Yours FREE! $19.99 Value - Yours FREE! Together a $49.98 Value – Today, Yours FREE! Our goal is to provide world class customer support by delivering the most current information to our customers. In order to ensure we can deliver this to you in a timely fashion we require your contact information. By providing your information today, you are giving consent for us or our affiliates to contact you by mail, phone, text or email using the data provided. You can do so in confidence as we do not sell your personal information to other companies. YES! My Book & DVD Really Are FREE! I’ll Pay for the Book & DVD, You Just Cover Shipping. I guarantee you’ll be thrilled with my book & DVD or I’ll refund your shipping cost and let you keep the book and DVD anyway! Your FREE Book & DVD Now Before They’re All Gone! Chuck Hughes recently won his 8th International Trading Championship, nearly doubling the annual performance of his closest competitor! Investing in the stock market can be one of the most lucrative investment strategies. Trade Like Chuck will teach you how to select and manage trades so you can get highly effective results as you invest in the market without it consuming your life. Gain financial freedom and have peace of mind. With Trade Like Chuck, you have the tools, resources and direction to transform your financial future. It’s not a matter IF the market will crash again but WHEN. Implementing Chuck’s trading strategies can effectively protect you from market losses. Learn how you can create a weekly paycheck by leveraging stocks you already own. You can take control of your financial future in as little as 15 minutes a day. 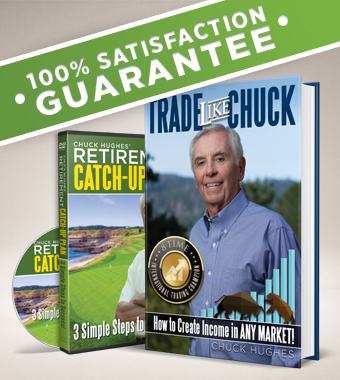 Chuck’s strategies allow you to spend more time doing what you love and trade on your own schedule from anywhere. After graduating college and joining the U.S. Air Force, Chuck Hughes landed his dream job as a pilot for a major airline. As his family began to grow and expenses accumulated, he worried about building a secure retirement and long-term wealth. Chuck was drawn to trading stocks as a way to provide financial peace of mind. In 1985, he started trading with $4,600 and within the first two years, he made over $460,000 in the market. The amazing thing is these results weren’t just beginners luck or because the market was doing something crazy those two years. It was because of how Chuck trades, and from that day forward he’s never had a losing year! 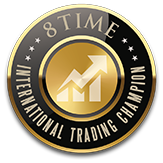 With over 33 years of trading experience, eight International Trading Championship titles and 20 consecutive years with triple digit returns (some as high as 339%), Chuck Hughes is arguably one of the best traders on the planet. Now he’s sharing his trading methods with you. © 2018 Trade Like Chuck. All rights reserved. Mr. Hughes’ experiences are not typical. His results are not a guarantee of your success. 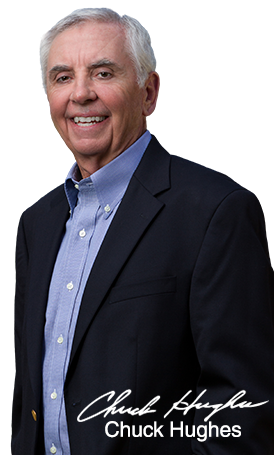 Mr. Hughes is an experienced investor and your results will vary depending on education, work experience, and background. Company is currently conducting studies to determine the typicality. All investments involve risk, and the past performance of a security, industry, sector, market or financial product does not guarantee future results or returns. We collect your information in order to record and support your participation in the activities you select. As a visitor to our Sites, you can engage in many activities without providing any personal information. In connection with other activities, such as utilizing registering for a seminar or participating in a sweepstakes, we may ask you to provide certain information about yourself by filling out and submitting an online form. It is completely optional for you to engage in these activities. If you elect to engage in these activities, however, we may ask that you provide us personal information, such as your first and last name, mailing address (including ZIP code), e-mail address, , telephone, credit card, and other personal information. If you do not provide the mandatory data with respect to a particular activity, you will not be able to engage in that activity. In all cases, we will collect personal identification information from you only if you voluntarily submit such information to us. We will also tell you how we use your information or if we share it with another party. Except as otherwise provided in this policy, we will never intentionally disclose any personal identification information about you as an individual user to any third party without having received your permission. If you supply us with your contact information you may receive periodic e-mails, mailings, text messages or calls from us or our partners with information on new products and services, important issues, or upcoming events. If you wish to be removed from any postal, email, phone, or other lists, please let us know by contacting us at the following: Trade Like Chuck 1025 W Innovation Dr. Kearney, MO 64060 USA Telephone: 1-800-538-7001 Email: support@tradelikechuck.com. Please provide us with your exact name, email address, mailing address, and phone. We will be sure your name is removed from the appropriate lists immediately. When you use our Sites, we or our authorized technology services provider may also collect certain technical and routing information from you to facilitate your use of the Site and its services. We use this information to administer the Site and to understand and measure traffic patterns on the Site so that we know which areas of our sites are favorites of our users, which areas need improvement, and what technologies are being used so that we may continually improve our sites. This information is collected in aggregate form, without identifying you or any user individually. We may use this aggregate, non-identifying statistical data for statistical analysis, marketing, or similar promotional purposes. This data is often tracked by us our our technology services provider by using “cookies” during your visit. A cookie is small amount of data that is transferred to your browser by a web server and can only be read by the server that gave it to you. It functions as your identification card and enables us to record your passwords, purchases, and preferences. It cannot be executed as code or deliver viruses. Most browsers are initially set to accept cookies. You can set your browser to notify you when you receive a cookie, giving you the chance to decide whether or not to accept it. (For some web pages that require an authorization, cookies are not optional. Users choosing not to accept cookies will probably not be able to access those pages. The information contained in or made available through the Sites (including but not limited to information contained on message boards, in text files, or in chats) cannot replace or substitute for the services of trained professionals in any field, including, but not limited to, financial or legal matters. Neither we nor our partners, or any of their affiliates, will be liable for any direct, indirect, consequential, special, exemplary or other damages that may result, including but not limited to economic loss, injury, illness or death. You alone are responsible and accountable for your decisions, actions and results in life, and by your use of the Sites, you agree not to attempt to hold us liable for any such decisions, actions or results, at any time, under any circumstance. Important: Please allow 7-10 business days to receive your free book. 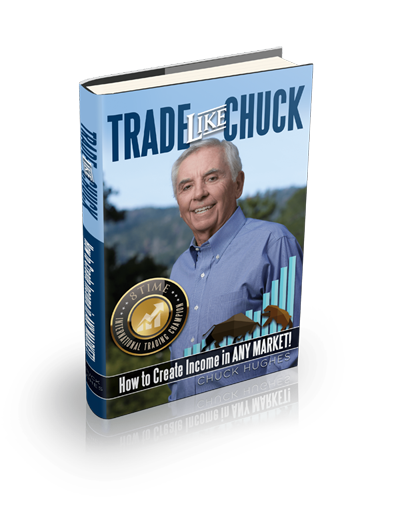 To receive your order you must pay a one-time shipping and handling fee, which covers your shipping and gets you a free single copy of Trade Like Chuck. Additional shipping may apply for rush shipping or additional products ordered. If you don’t absolutely love your Weekly Market Watch subscription, you may cancel it at any time by contacting customer service at 1-800-538-7001 or support@tradelikechuck.com. But, if you love it, and we are sure you will, simply do nothing and you will continue to receive the weekly market updates, investing strategies and implementation videos. On or around day 30 and every month after that, we will conveniently bill you $37 for each month you continue to benefit from this powerful resource.